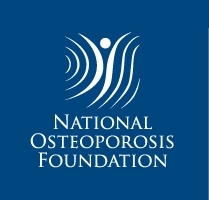 We evaluated the prevalence of osteoporosis using the osteoporosis diagnostic criteria developed by the National Bone Health Alliance (NBHA), which includes qualified fractures, FRAX score in addition to bone mineral density (BMD). The expanded definition increases the prevalence compared to BMD alone definitions; however, it may better identify those at elevated fracture risk. 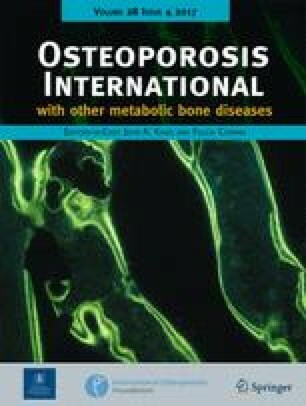 The purpose of this paper is to estimate the prevalence of osteoporosis in US adults ≥50 years using the NBHA osteoporosis diagnostic criteria. Utilizing 2005–2008 data of the National Health and Nutrition Examination Survey (NHANES), we identified participants with osteoporosis with any one of the following: (1) femoral neck or lumbar spine T-score ≤ −2.5; (2) low trauma hip fracture irrespective of BMD or clinical vertebral, proximal humerus, pelvis, or distal forearm fracture with a T-score >−2.5 <−1.0; or (3) FRAX score at the National Osteoporosis Foundation intervention thresholds (≥3% for hip fracture or ≥20% for major osteoporotic fracture). We estimated the prevalence overall and by gender and age. Our sample included 1948 (54.3%) men and 1639 (45.7%) women. Approximately 12% were 80+ years and 21% were from racial/ethnic minority groups. We estimated that 16.0% (0.8) of men and 29.9% (1.0) of women 50+ years have osteoporosis. The prevalence increases with age to 46.3% in men and 77.1% in women 80+ years. The combination of FRAX score and fractures was the largest contributing factor defining osteoporosis in men (70–79, 88.1%; 80+, 80.1%), whereas T-score was the largest contributing factor in women (70–79, 49.2%; 80+, 43.5%). We found that 16% of men and 29.9% of women 50+ have osteoporosis based on the NBHA diagnostic criteria. Although the expanded definition increases the prevalence compared to BMD alone-based definitions, it may better identify those at elevated fracture risk in order to reduce the burden of fractures in older adults. We would like to thank Anne Looker, PhD, for her assistance with the provision and analysis of the NHANES data. KGS: consultant: Amgen, Lilly, Merck. ESS: consultant: Amgen, Merck, Radius.